The TroyGould family mourns the loss of one of its name members, William D. Gould, who passed away August 6 of pneumonia at age 79 from complications due to Multiple Myeloma. Bill’s enthusiasm and unbridled interest in helping and mentoring those around him made him a favorite of co-workers and clients alike. Bill, a Los Angeles native, graduated from Loyola High School, got his Bachelor’s from Loyola University of Los Angeles, and was first in his class and editor of the Law Review at University of California, Los Angeles School of Law (Graduated 1963). 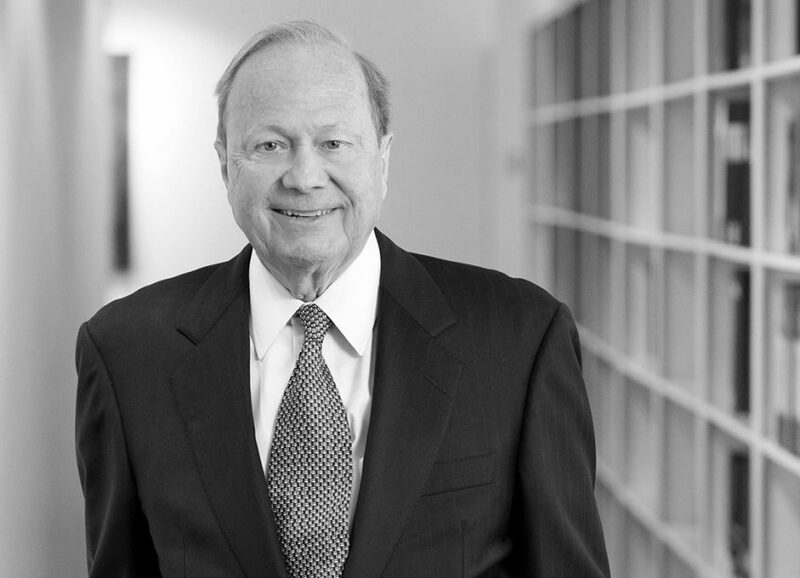 In anticipation of his future retirement, Bill had in recent years shifted more of the day-to-day work for his clients to other attorneys in the Firm and had focused on strategic matters for those clients as well as growth and development matters for the Firm. Among his interests were horse racing, college basketball, international travel (especially to Panama), and music – so it was quite a thrill for him when his oldest son, Billy Gould, made it big as the bassist for Faith No More. Bill even traveled a bit with his son’s band when it toured internationally. Around the same time, Bill and a longtime friend, James Murphy of Jimmy’s Restaurant in Beverly Hills, partnered to produce a musical passion project of their own: “Chaplin: The Musical,” which reached Broadway in 2012. Bill kept working into his last days. He is survived by his wife of 56 years, Mary Ann; sons Billy (Margaret), Kenney (Deirdre), Patrick (Marissa) and Gregory (Jennifer); daughters Elizabeth and Molly Kublicki (Nick); and 12 grandchildren. If you wish to honor Bill, his family has requested that, in lieu of flowers, please consider making a donation to Dr. James Berenson at the Institute for Myeloma and Bone Cancer Research, 9201 W. Sunset Blvd., Suite 300, West Hollywood, CA 90069; Tel: (310) 623-1210; https://www.imbcr.org.